1. 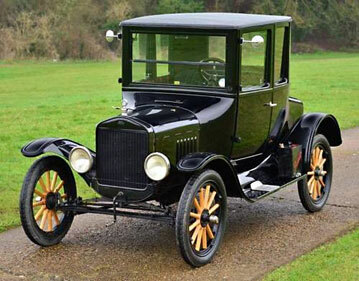 Model T Ford: More than simply a car, this product of the industrial revolution helped transform the nation from a predominately close-knit rural society, into an urban mosaic. Before the model T, cars were the play toys of the rich. They were also largely uncomfortable, unreliable fair-weather contraptions built by former horse and buggy blacksmiths, bicycle makers and assorted dreamers with an interest in things mechanical. Henry Ford applied his self-taught knowledge of the internal combustion engine with the revolutionary concepts of mass production to create the Model T, an affordable, well-made transportation miracle for the masses. 2. Volkswagon Beetle: This car started so many trends that it's impossible to list them all here. The public's appetite for inexpensive, reliable imports really took root with the Beetle. No one gave this car a hope in Hades when it first debuted on this continent in the late 1940s. But a unique, so-ugly-its-cute design, dirt-cheap price and clever advertising (remember the "Think Small" newspaper and magazine ads) turned the Volks into a cult classic. Originally created by Dr. Ferdinand Porsche, the Volkswagon also begat the sports car that bears his name. 3. 1936/37 Cord 810/812: Light years ahead of its time, the coffin-nose Cord is, in the opinion of most car connoisseurs, the most beautiful car ever made. It was also a technological marvel that featured front-wheel drive, a supercharged V8 engine, four-speed electric pre-selector transmission and first-time-ever concealed headlights. Not too bad for a car now nearing its 75th birthday. Available in sedan, cabriolet and phaeton models, the 810/812 Cord cost less than $2,200 new. Today some fetch in the $100,000-plus range at auction. 4. 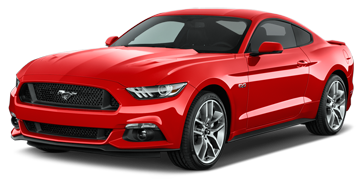 Ford Mustang: It took the marketing genius of Lee Iacocca to create a revolution with the car-buying public. 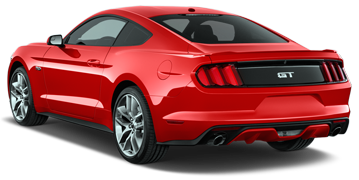 The Mustang made sporty cars a respectable commodity with people of all ages and all walks of life. Your high school principal drove one. So did the university student next door and the plumber on the other side of town. In fact, anyone who was young, or longed for the trappings of youth could afford the Mustang. More than a million first-generation Mustangs were sold. 5. Willys Jeep: The Jeep was the Hummer of its day. 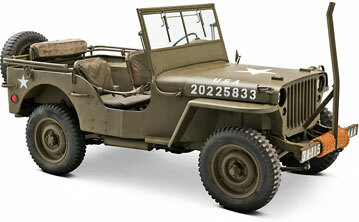 A war-effort creation, the Jeep (for GP, or general purpose vehicle) proved to be tough, reliable and versatile. No, it was not very fast and consumed inordinate amounts of fuel. But when the times demanded, the original sport-utility vehicle answered the call of duty, transporting troops, supplies and ordinance into the thick of the action. A half-a-century later, its progeny are still with us, a true testament to the Jeep's heroic beginnings. 6. Ferrari Berlinetta Lusso: No top 10 list of great cars would be complete without including a Ferrari. The Lusso was based on the Type 250GT, and was produced in very limited quantities from 1962-64. Without question, the Lusso is considered by most aficionados as the best-looking Ferrari ever constructed. You may never see one in the flesh, but, like a Rodin sculpture or Rembrant painting, be grateful it was created in the first place. Every car designer today should spend a week locked in a room with this masterpiece before setting out to create the next blahmobile. 7. 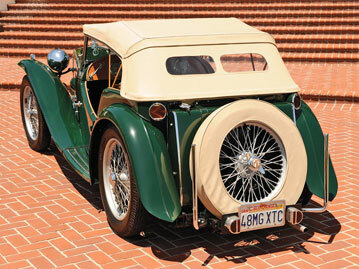 MG TC: This great grandfather of the modern sports car made its way to our shores shortly after the Second World War. The TC, as well as MGs to follow, changed the public's perception of automobiles as personal transportation devices. Now, they were also being perceived as athletic cars to be driven for the sheer fun of driving. What followed was a cult of sports car-loving fanatics who, during the 50s and 60s, formed car clubs, raced each other on and off the track and were the envy of sedan-driving 'squares' everywhere. Next time you look lustfully at a Chevrolet Corvette, Mazda Miata or Porsche Boxster, think of the car that started it all. 8. 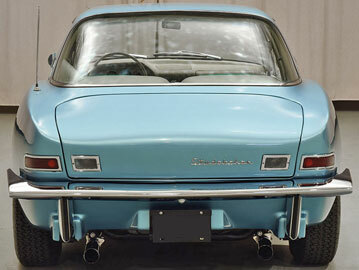 Studebaker Avanti: Design guru Raymond Loewy's fiberglass masterpiece belongs in a museum. It's almost impossible to imagine this car was created more than 50 years ago. 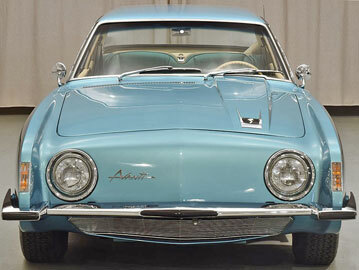 In an age of mega-chromed, oversized monsters spouting gaping grilles, the avant-garde Avanti looked positively naked. The car managed to live on for many years, after Studebaker's demise, produced in the original South Bend, Indiana plant by various entrepreneur types. 9. 1949 Ford: This is the car that led us into the post-Second World War era of wealth and abundance. After years of automotive draught – car plants had been turned into plane and tank factories – Ford's stylists were let loose to create new designs. The result? One of the best looking designs to ever come out of Detroit. The '49 Ford had a clean, streamlined look that made Chevys and Plymouths look like bricks by comparison. 10. 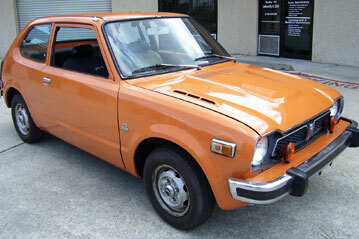 1974 HONDA CIVIC CVCC: Because it was fashionable or mandated by law, Honda led the way to significantly lower emissions with its first generation Civic hatchback. This car scored big points with legislators and various government agencies, who demanded equal performance from other manufacturers. The first Civic put Honda on the map in North America with its combination of performance, comfort and league-leading fuel economy. Honda has been successfully trading on this image ever since.